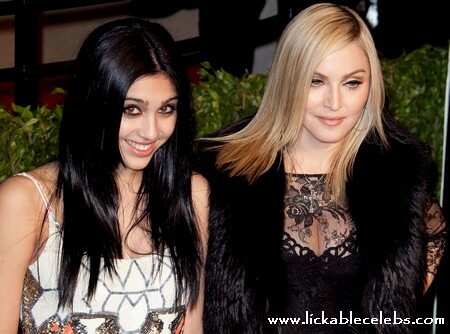 Madonna has reportedly recorded a duet with her teenage daughter Lourdes. Madonna in keeping with typical Hollywood nepotism is attempting to help her teen daughter launch a successful pop career. The pair have recorded a track titled ‘It’s So Cool’, with the popstar currently contemplating whether to feature it on her next studio album or to include it as part of the soundtrack to her new movie W.E. “Madonna hopes Lourdes will step into her shoes and become one of the biggest female artists in the world,” a source told The Sun. The mother and daughter duo first recorded the track back in 2003, with the original having an acoustic feel, but Madonna had the song reworked back in 2009. It was then included as part of her Celebration greatest hits compilation, with Lourdes’s vocals removed. Kelly Osbourne The New Face of Madonna’s Material Girl Fashion Brand?